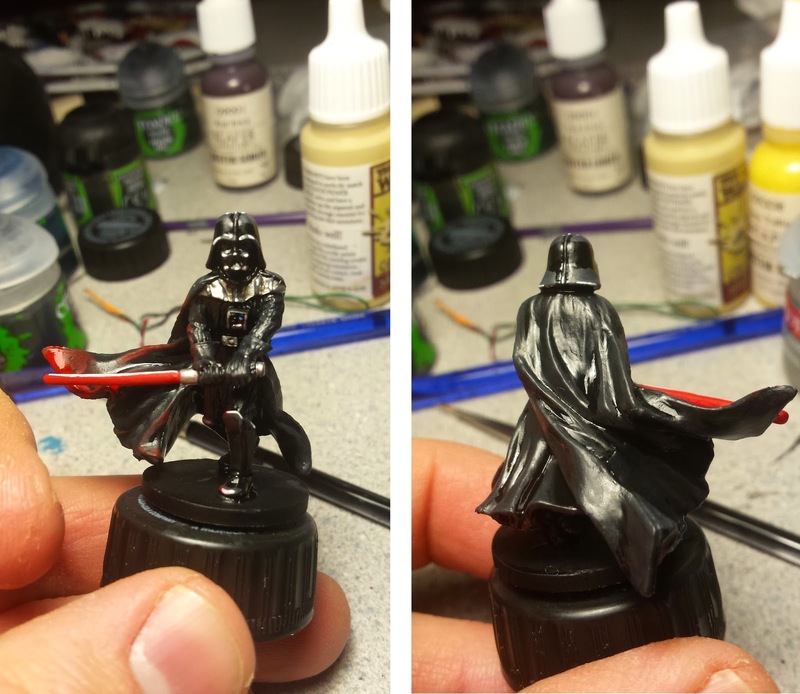 Darth Vader was an interesting challenge. He's armored in all black armor, with a little bit of silver for accents. He also has a lot of different types of surfaces, from cloth to glossy metal. I ended up paining his cloak, arms, legs and gloves as if they were made of cloth. 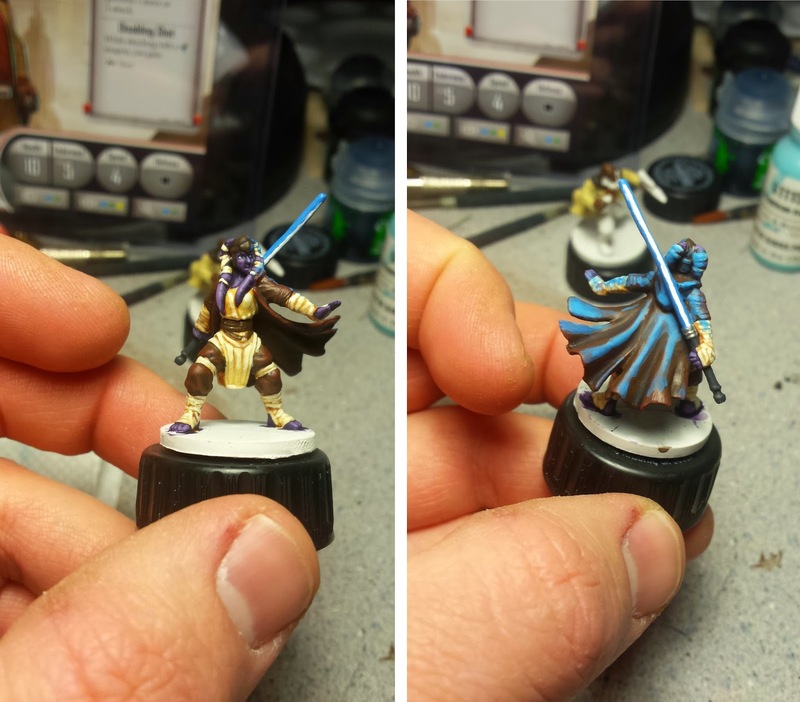 This was fairly simple to do, since I've painted a lot of cloth over the years. His armor was a different challenge. I needed to simulate the gloss effect with non-gloss paint. I tried a few different ways and had mixed results. In the end I decided to layer a dark grey over the black, then follow it with white on the high points. It worked out well. Finally it was time to do the lightsaber. Since its a beam of light, there is no easy way to recreate it. I decided to paint it a solid red, then follow up with a white line down the center. Then to add to the effect, I painted some watered down red on his cloak and a few high points to simulate the glow of the beam. was pretty simple to paint. But I'm not really a fan of her model, its an awkward squatting position and doesn't capture the look of her in the artwork all that well. I'm pleased with how she turned out and she looks good on the table... but I just wish that the mini was as filled with attitude as the artwork on her card is. Diala Passil is our Jedi, she is also a Twi'lek and a purple skinned one at that. She's a pretty cool mini and has a pose taken straight out of the playbook of Starkiller, of The Force Unleashed fame. Overall, I like the minis, but she suffers from the same issue I had with the Flingers in Super Dungeon Explore. The wraps were hard to pick out details with and they were everywhere. I'm mostly pleased with the end result, but wish I had a sharper fine tip brush for it. Gideon Argus was another fun challenge. 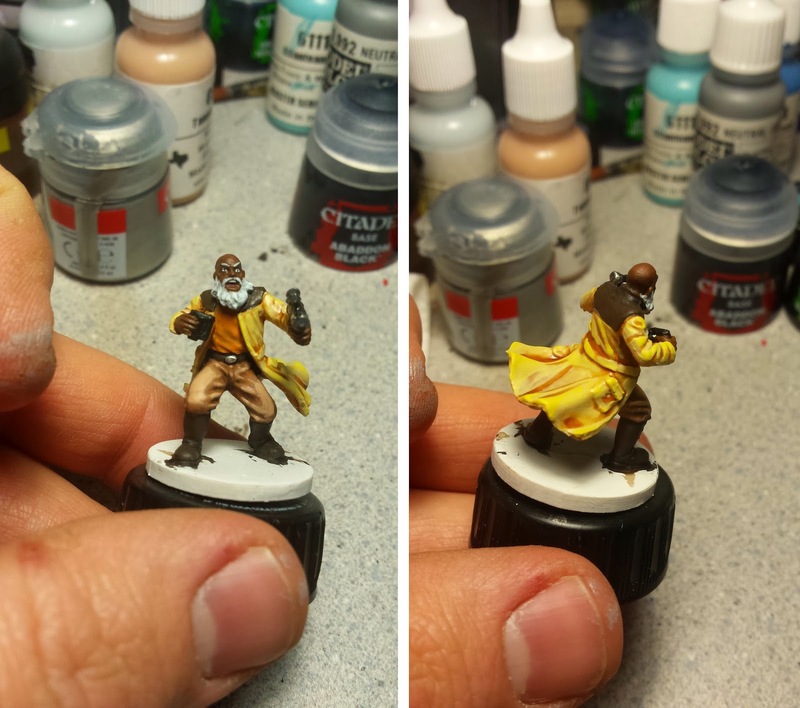 He's a black man, and I don't really have a lot of experience painting dark skin. So I got to use him as a testing grounds of sorts. 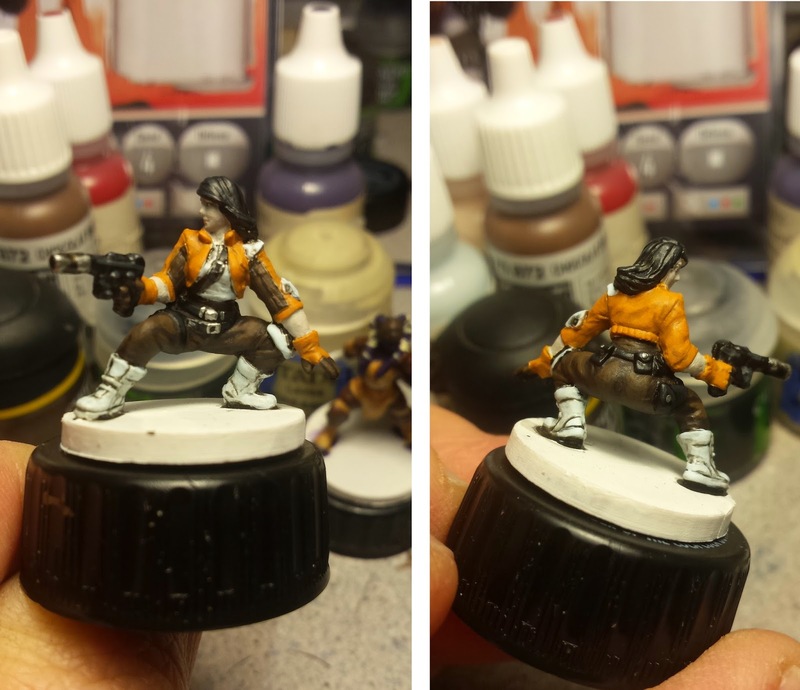 I started with a mid-tone brown and then continually added more red to it, rather than flesh tone. It really ended up giving him a nice coloring. His coat is actually more of a beige than a yellow, but my phone camera picked up the yellow in the highlights and ran with it. The final studio pictures and a little photoshop color correction should fix this issue. That's all for now! We are down to 3 more heroes and the AT-ST, which should be finished within the next few days. Stay tuned.